Dr. Alissa Edwards grew up in Green Bay. Upon graduation from a local high school, she attended Marquette University for undergraduate studies and continued her education there, graduating from Marquette University School of Dentistry in 2010. Dr. Edwards has been successfully practicing dentistry within the state since graduation and we are very pleased to have her providing patient care with Elite Smiles Dental. Dr. Edwards is an active member in the ADA (American Dental Association) WDA (Wisconsin Dental Association) AGD (Academy of General Dentistry), and the Greater Green Bay Women’s Dental Group. She also volunteers within the community at the Tri-County Dental clinic. Dr. Edwards strives to form relationships with her patients and exceed their needs and expectations. She is passionate about patient care. Her goal is to enhance her patients’ dental experiences with not only quality care and comfort, but also utilizing the most advanced dental technologies and materials available. She is very pleased to work amongst the youthful energy of her dental team that is fun-loving and always has our patients’ comfort and care in the forefront of their minds. They share the same visions of a comfortable and compassionate dental experience. 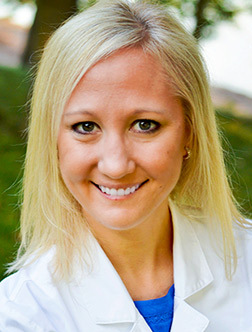 Dr. Edwards resides in Appleton with her husband of eight years and their two young children: a son (age three) and daughter (three months), as well as their pet pug. Dr. Edwards feeds off the energy of liveliness of watching her children grow and learn. She enjoys photography, spending time in her kitchen experimenting with recipes, and living a healthy lifestyle.